The Denso Kotei Automotive Electronics (Wuhan) Co., Ltd., a joint venture of DENSO Corporation and Wuhan KOTEI Informatics Co., Ltd., opened in Wuhan, capital of central China’s Hubei Province, on April 23, 2019. 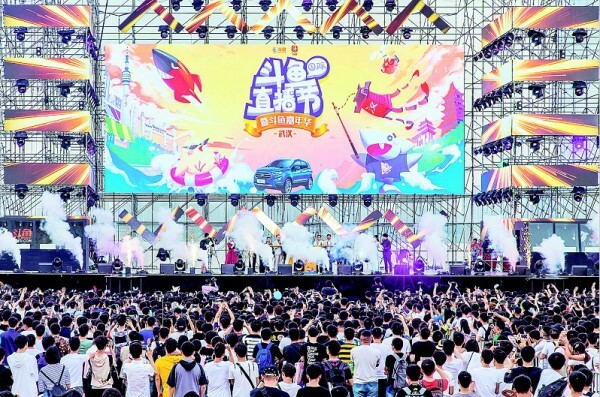 Wuhan’s unicorn company DouYu International Holdings Ltd. filed its initial public offering (IPO) in the U.S. on April 22, 2019, with plans to raise 500 million U.S. dollars. 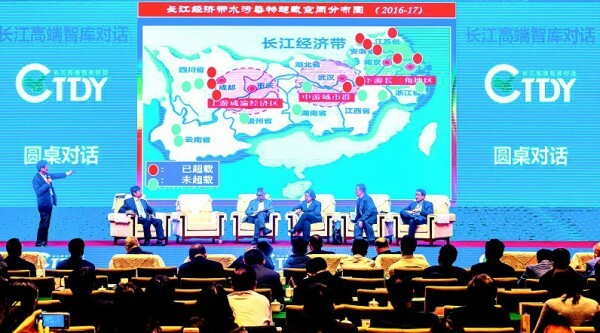 The Yangtze River High-End Think Tank Dialogue opened on April 22, 2019 in Wuhan, capital of central China’s Hubei Province, gathering more than 400 experts and scholars to discuss high-quality development of the Yangtze River Economic Belt. On April 19th, Wuhan Municipal Government reported the economic performance of the city in the first quarter: the regional GDP increased by 8.4 percent, 2 and 0.3 percentage points higher than the national level and provincial level, respectively. According to preliminary calculations, , Hubei achieved a regional GDP of 910.05 billion yuan, an increase of 8.1 percent at comparable prices in the first quarter this year. KLA-Tencor Corporation, ASML Holding, Lam Research Corporation and Applied Materials Inc., four of World’s top five semiconductor manufacturing giants, all opened offices in the same building of Wuhan Future City. Since the beginning of 2019, Wuhan International Convention and Exhibition Center, China Optics Valley Convention and Exhibition Center and Wuhan Eurasian Convention and Exhibition International Hotel have made into the International Congress and Convention Association (ICCA) in succession, achieving a historic breakthrough for exhibition venues in the city to obtain international endorsement. 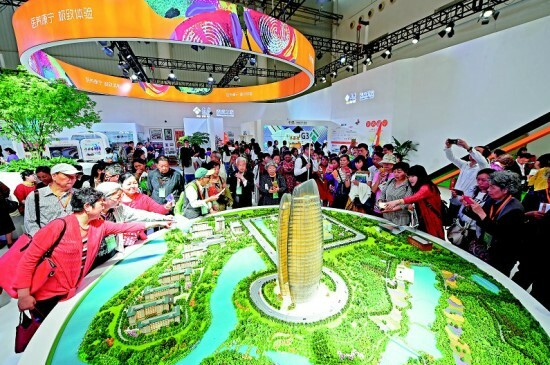 On April 15, over 20 government officials from such four African countries as Ethiopia, Kenya, Mozambique, Zambia promoted their agricultural advantages and invited local investment in Wuhan, capital city of Hubei Province. On April 16, Qingshan District of Wuhan, capital of central China’s Hubei Province, signed a strategic framework cooperation agreement with the Belt and Road (Hungary) International Cultural Education Center, witnessing the establishment of the Belt and Road • Global Overseas Chinese Investment Center. 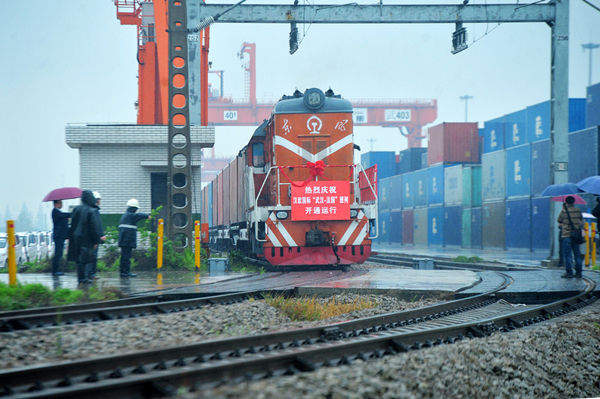 Today, dubbed the "caravans of steel camels", the China-Europe Railway Express carries new opportunities to Europe and injects new impetus into Sino-French trade, whose volume exceeded $60 billion in 2018. On April 14, a tea factory with intelligent cleaning machines went into production in Dengcun Village, Yichang City of Hubei, marking the presence of world’s first ‘unmanned tea factory’. The Biomass Pyrolysis Furnace (Generation Four), independently developed by Hubei Bluefire Ecological Energy Co., Ltd, won the International Invention Gold Award and the Gold Award for Outstanding Inventors at the 47th International Exhibition of Inventions of Geneva, which concluded on April 14, 2019. In the first quarter of this year, Hubei saw total imports and exports of 78.84 billion yuan, a year-on-year increase of 16.2 percent. The World Health Expo was inaugurated in the Wuhan International Expo Center on April 8, 2019, which witnessed 70 projects were signed with an investment of more than 130 billion yuan. 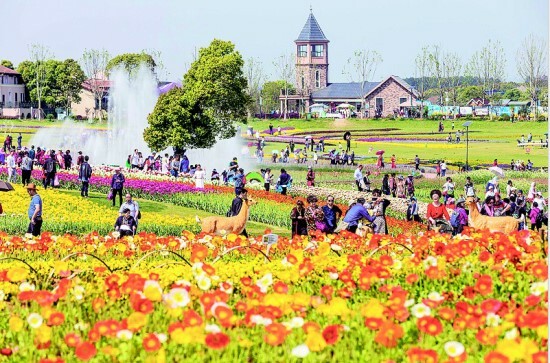 Hubei Province received a total of 19.6769 million visitors during the three-day holiday of Qingming (April 5-7, 2019), a year-on-year increase of 21.12 percent, and tourism income grew by 22.76 percent to 9.157 billion yuan, according to official data.